[14:09:56] *Scrappie: **Mauville Magnetons** has bought **Lavos** for 21000! [14:11:32] *Scrappie: **Hearthome City Heatrans** has bought **M Dragon** for 17500! [14:12:29] *Scrappie: **Aspertia Arcanines** has bought **SoulWind** for 23000! [14:13:42] *Scrappie: **Sunyshore City Shaymins** has bought **FLCL** for 19000! [14:15:06] *Scrappie: **Mt. Moon Men** has bought **McMeghan** for 21500! [14:16:09] *Scrappie: **Sunyshore City Shaymins** has bought **Tamahome** for 16500! [14:17:17] *Scrappie: **Pyrite Town Pichus** has bought **thelinearcurve** for 25000! [14:18:40] *Scrappie: **Mt. Moon Men** has bought **GaryTheGengar** for 10500! [14:20:14] *Scrappie: **Pyrite Town Pichus** has bought **z0mOG** for 11000! [14:21:52] *Scrappie: **Mauville Magnetons** has bought **Triangles** for 18000! [14:23:21] *Scrappie: **Aspertia Arcanines** has bought **Alexander. ** for 15500! [14:25:04] *Scrappie: **Aspertia Arcanines** has bought **Rodriblutar** for 11000! [14:26:25] *Scrappie: **Sunyshore City Shaymins** has bought **Eternal Spirit** for 10500! [14:27:49] *Scrappie: **Koniko Clan** has bought **dice** for 17500! [14:28:44] *Scrappie: **Aspertia Arcanines** has bought **CZ. ** for 8000! [14:30:45] *Scrappie: **Koniko Clan** has bought **UD** for 14500! [14:32:13] *Scrappie: **Pyrite Town Pichus** has bought **Analytic** for 9000! [14:34:20] *Scrappie: **Po Town Power** has bought **mael** for 18500! [14:35:41] *Scrappie: **Koniko Clan** has bought **Eo Ut Mortus** for 16000! [14:36:40] *Scrappie: **Mt. Moon Men** has bought **Void** for 8000! [14:37:30] *Scrappie: **Hearthome City Heatrans** has bought **Hclat** for 10000! [14:38:37] *Scrappie: **Po Town Power** has bought **Fakes** for 9500! [14:39:51] *Scrappie: **Po Town Power** has bought **Pearl** for 16500! [14:41:03] *Scrappie: **Pyrite Town Pichus** has bought **FMG** for 9000! [14:42:08] *Scrappie: **Mt. Moon Men** has bought **MetalGro$$** for 13500! [14:44:30] *Scrappie: **Sunyshore City Shaymins** has bought **eden's embrace** for 21000! [14:46:19] *Scrappie: **Aspertia Arcanines** has bought **Mr.378** for 14000! [14:48:22] *Scrappie: **Mt. Moon Men** has bought **robjr** for 15500! [14:49:10] *Scrappie: **Mauville Magnetons** has bought **Golden Sun** for 11000! [14:49:44] *Scrappie: **Sunyshore City Shaymins** has bought **Kaz** for 15000! [14:51:08] *Scrappie: **Pyrite Town Pichus** has bought **Insult** for 8000! [14:52:17] *Scrappie: **Aspertia Arcanines** has bought **Chill Shadow** for 7000! [14:53:30] *Scrappie: **Mauville Magnetons** has bought **rozes** for 4500! [14:54:35] *Scrappie: **Mt. Moon Men** has bought **TonyFlygon** for 11500! [14:55:39] *Scrappie: **Hearthome City Heatrans** has bought **Bedschibaer** for 18500! [14:56:35] *Scrappie: **Mauville Magnetons** has bought **teal6** for 9000! [14:58:01] *Scrappie: **Po Town Power** has bought **Stone_Cold** for 10000! [14:59:00] *Scrappie: **Mt. Moon Men** has bought **kaori** for 8500! [14:59:23] *Scrappie: **Mauville Magnetons** has bought **false** for 5000! [15:00:56] *Scrappie: **Pyrite Town Pichus** has bought **Jytcampbell** for 5500! [15:02:02] *Scrappie: **Hearthome City Heatrans** has bought **Ranshiin** for 4500! [15:03:21] *Scrappie: **Mauville Magnetons** has bought **Windsong** for 16000! [15:04:19] *Scrappie: **Koniko Clan** has bought **elodin** for 9000! [15:04:52] *Scrappie: **Mt. Moon Men** has bought **frisoeva** for 4000! [15:06:16] *Scrappie: **Koniko Clan** has bought **Hipmonlee** for 8500! [15:07:27] *Scrappie: **Sunyshore City Shaymins** has bought **Sceptross** for 9000! [15:09:28] *Scrappie: **Mauville Magnetons** has bought **fatty** for 6500! [15:10:14] *Scrappie: **Mt. Moon Men** has bought **Cynara** for 3500! [15:11:52] *Scrappie: **Aspertia Arcanines** has bought **Maya Chansey** for 10500! [15:14:19] *Scrappie: **Pyrite Town Pichus** has bought **Genesis7** for 9000! [15:14:33] *Scrappie: **Koniko Clan** has bought **Lacus Ichinose** for 3000! [15:16:18] *Scrappie: **Mt. Moon Men** has bought **Kingler12345** for 7500! [15:17:06] *Scrappie: **Mt. Moon Men** has bought **Sam I Yam** for 3000! [15:17:48] *Scrappie: **Mauville Magnetons** has bought **Exiline** for 5500! [15:19:35] *Scrappie: **Pyrite Town Pichus** has bought **HSA** for 11500! [15:20:17] *Scrappie: **Hearthome City Heatrans** has bought **Alfredo_Rivero** for 3000! [15:21:22] *Scrappie: **Hearthome City Heatrans** has bought **Raiza** for 10500! [15:22:37] *Scrappie: **Mauville Magnetons** has bought **Diophantine** for 5000! [15:23:32] *Scrappie: **Sunyshore City Shaymins** has bought **Zokuru** for 4000! [15:26:08] *Scrappie: **Hearthome City Heatrans** has bought **Oibaf** for 7500! [15:26:48] *Scrappie: **Po Town Power** has bought **Tobes** for 3000! [15:27:37] *Scrappie: **Koniko Clan** has bought **jonfilch** for 6000! [15:28:41] *Scrappie: **Pyrite Town Pichus** has bought **LL** for 3000! [15:29:12] *Scrappie: **Sunyshore City Shaymins** has bought **Vay** for 7000! [15:30:19] *Scrappie: **Pyrite Town Pichus** has bought **dream** for 5500! [15:31:36] *Scrappie: **Pyrite Town Pichus** has bought **ayevon** for 6000! [15:32:33] *Scrappie: **Koniko Clan** has bought **Fener** for 5000! [15:32:56] *Scrappie: **Po Town Power** has bought **Emeral** for 3000! [15:33:47] *Scrappie: **Sunyshore City Shaymins** has bought **A Hero's Destiny** for 7000! [15:35:02] *Scrappie: **Sunyshore City Shaymins** has bought **Altina** for 5000! [15:35:51] *Scrappie: **Mauville Magnetons** has bought **LuckOverSkill** for 9000! [15:36:42] *Scrappie: **Hearthome City Heatrans** has bought **hellpowna** for 7500! [15:37:45] *Scrappie: **Hearthome City Heatrans** has bought **xImRaptor** for 5000! [15:38:22] *Scrappie: **Mauville Magnetons** has bought **gz** for 3000! [15:40:04] *Scrappie: **Koniko Clan** has bought **EB0LA** for 6500! [15:42:04] *Scrappie: **Pyrite Town Pichus** has bought **The Quasar** for 8500! [15:42:50] *Scrappie: **Po Town Power** has bought **69 problems** for 4000! [15:43:45] *Scrappie: **Koniko Clan** has bought **Souf** for 9000! [15:45:27] *Scrappie: **Hearthome City Heatrans** has bought **Arifeen** for 9500! [15:45:50] *Scrappie: **Aspertia Arcanines** has bought **Sharow** for 3000! [15:46:40] *Scrappie: **Aspertia Arcanines** has bought **Garay oak** for 7000! [15:46:58] *Scrappie: **Pyrite Town Pichus** has bought **Vileman** for 3000! [15:47:12] *Scrappie: **Koniko Clan** has bought **Nat** for 3000! [15:47:53] *Scrappie: **Po Town Power** has bought **choolio** for 8500! [15:48:17] *Scrappie: **Mt. Moon Men** has bought **I attract E-Girls** for 3000! [15:49:26] *Scrappie: **Koniko Clan** has bought **snøfall** for 5500! 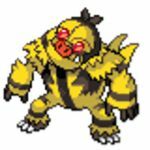 [15:50:12] *Scrappie: **Mauville Magnetons** has bought **1 True Lycan** for 6000! [15:51:01] *Scrappie: **Hearthome City Heatrans** has bought **SamuelBestt** for 3000! [15:51:59] *Scrappie: **Hearthome City Heatrans** has bought **Rey Joya** for 3000! [15:52:37] *Scrappie: **Mauville Magnetons** has bought **byronthewellwell** for 4000! [15:53:28] *Scrappie: **Aspertia Arcanines** has bought **HML am** for 8000! [15:53:49] *Scrappie: **Mt. Moon Men** has bought **Coconut** for 3000! [15:54:52] *Scrappie: **Po Town Power** has bought **Slick Willy** for 10000! [15:55:44] *Scrappie: **Koniko Clan** has bought **TSR** for 9500! [15:58:03] *Scrappie: **Hearthome City Heatrans** has bought **yjh971203** for 14000! [15:58:28] *Scrappie: **Aspertia Arcanines** has bought **StepC** for 3000! [15:58:43] *Scrappie: **Aspertia Arcanines** has bought **Alkione** for 3000! [15:59:06] *Scrappie: **Pyrite Town Pichus** has bought **HarrisIsAwesome** for 3000! [15:59:20] *Scrappie: **Koniko Clan** has bought **Leo** for 3000! [16:00:09] *Scrappie: **Po Town Power** has bought **CMx** for 6500! [16:01:14] *Scrappie: **Mt. Moon Men** has bought **Djokra** for 4000! [16:01:57] *Scrappie: **Mt. Moon Men** has bought **Marshall.Law** for 4500! [16:02:45] *Scrappie: **Mauville Magnetons** has bought **Ika Ika Musume** for 3000! [16:03:16] *Scrappie: **Hearthome City Heatrans** has bought **Ace-11** for 4000! [16:03:39] *Scrappie: **Hearthome City Heatrans** has bought **Real FV13** for 3000! [16:04:07] *Scrappie: **Mauville Magnetons** has bought **RyLon** for 3500! [16:05:29] *Scrappie: **Pyrite Town Pichus** has bought **SaDiSTiCNarwhal** for 5500! [16:05:48] *Scrappie: **Po Town Power** has bought **DKM** for 3000! [16:06:14] *Scrappie: **Pyrite Town Pichus** has bought **EviGaro** for 3000! [16:06:56] *Scrappie: **Aspertia Arcanines** has bought **Kebab mlml** for 5000! [16:07:36] *Scrappie: **Aspertia Arcanines** has bought **Heysup** for 5000! [16:08:54] *Scrappie: **Pyrite Town Pichus** has bought **neomon** for 5000! [16:09:10] *Scrappie: **Po Town Power** has bought **Hec** for 3000! [16:09:47] *Scrappie: **Sunyshore City Shaymins** has bought **Thiago Nunes** for 3000! [16:10:01] *Scrappie: **Hearthome City Heatrans** has bought **Der Sweitzer** for 3000! [16:10:18] *Scrappie: **Hearthome City Heatrans** has bought **Jarii** for 3000! [16:10:50] *Scrappie: **Sunyshore City Shaymins** has bought **Roseybear** for 3000! [16:11:13] *Scrappie: **Po Town Power** has bought **Always! ** for 3000! [16:11:33] *Scrappie: **Pyrite Town Pichus** has bought **starry blanket** for 3000! [16:12:23] *Scrappie: **Aspertia Arcanines** has bought **nightcore** for 3000! [16:12:56] *Scrappie: **Aspertia Arcanines** has bought **Trap** for 3000! [16:13:28] *Scrappie: **Pyrite Town Pichus** has bought **H.M.N.I.P** for 4500! [16:13:47] *Scrappie: **Po Town Power** has bought **jcbc** for 3000! [16:14:10] *Scrappie: **Sunyshore City Shaymins** has bought **Sakito** for 3000! [16:14:24] *Scrappie: **Hearthome City Heatrans** has bought **TeZy** for 3000! [16:14:40] *Scrappie: **Sunyshore City Shaymins** has bought **Sinkyr** for 3000! [16:15:52] *Scrappie: **Sunyshore City Shaymins** has bought **Watchog** for 3000! [14:09:56] *Scrappie: **Mauville Magnetons** has bought **Lavos** for 21000! [14:11:32] *Scrappie: **Hearthome City Heatrans** has bought **M Dragon** for 17500! [14:12:29] *Scrappie: **Aspertia Arcanines** has bought **SoulWind** for 23000! [14:13:42] *Scrappie: **Sunyshore City Shaymins** has bought **FLCL** for 19000! [14:15:06] *Scrappie: **Mt. Moon Men** has bought **McMeghan** for 21500! [14:16:09] *Scrappie: **Sunyshore City Shaymins** has bought **Tamahome** for 16500! [14:17:17] *Scrappie: **Pyrite Town Pichus** has bought **thelinearcurve** for 25000! [14:18:40] *Scrappie: **Mt. Moon Men** has bought **GaryTheGengar** for 10500! [14:20:14] *Scrappie: **Pyrite Town Pichus** has bought **z0mOG** for 11000! [14:21:52] *Scrappie: **Mauville Magnetons** has bought **Triangles** for 18000! [14:23:21] *Scrappie: **Aspertia Arcanines** has bought **Alexander. ** for 15500! [14:25:04] *Scrappie: **Aspertia Arcanines** has bought **Rodriblutar** for 11000! [14:26:25] *Scrappie: **Sunyshore City Shaymins** has bought **Eternal Spirit** for 10500! [14:27:49] *Scrappie: **Koniko Clan** has bought **dice** for 17500! [14:28:44] *Scrappie: **Aspertia Arcanines** has bought **CZ. ** for 8000! [14:30:45] *Scrappie: **Koniko Clan** has bought **UD** for 14500! [14:32:13] *Scrappie: **Pyrite Town Pichus** has bought **Analytic** for 9000! [14:34:20] *Scrappie: **Po Town Power** has bought **mael** for 18500! [14:35:41] *Scrappie: **Koniko Clan** has bought **Eo Ut Mortus** for 16000! [14:36:40] *Scrappie: **Mt. Moon Men** has bought **Void** for 8000! [14:37:30] *Scrappie: **Hearthome City Heatrans** has bought **Hclat** for 10000! [14:38:37] *Scrappie: **Po Town Power** has bought **Fakes** for 9500! [14:39:51] *Scrappie: **Po Town Power** has bought **Pearl** for 16500! [14:41:03] *Scrappie: **Pyrite Town Pichus** has bought **FMG** for 9000! [14:42:08] *Scrappie: **Mt. Moon Men** has bought **MetalGro$$** for 13500! [14:44:30] *Scrappie: **Sunyshore City Shaymins** has bought **eden's embrace** for 21000! [14:46:19] *Scrappie: **Aspertia Arcanines** has bought **Mr.378** for 14000! [14:48:22] *Scrappie: **Mt. Moon Men** has bought **robjr** for 15500! [14:49:10] *Scrappie: **Mauville Magnetons** has bought **Golden Sun** for 11000! [14:49:44] *Scrappie: **Sunyshore City Shaymins** has bought **Kaz** for 15000! [14:51:08] *Scrappie: **Pyrite Town Pichus** has bought **Insult** for 8000! [14:52:17] *Scrappie: **Aspertia Arcanines** has bought **Chill Shadow** for 7000! [14:53:30] *Scrappie: **Mauville Magnetons** has bought **rozes** for 4500! [14:54:35] *Scrappie: **Mt. Moon Men** has bought **TonyFlygon** for 11500! [14:55:39] *Scrappie: **Hearthome City Heatrans** has bought **Bedschibaer** for 18500! [14:56:35] *Scrappie: **Mauville Magnetons** has bought **teal6** for 9000! [14:58:01] *Scrappie: **Po Town Power** has bought **Stone_Cold** for 10000! [14:59:00] *Scrappie: **Mt. Moon Men** has bought **kaori** for 8500! [14:59:23] *Scrappie: **Mauville Magnetons** has bought **false** for 5000! [15:00:56] *Scrappie: **Pyrite Town Pichus** has bought **Jytcampbell** for 5500! [15:02:02] *Scrappie: **Hearthome City Heatrans** has bought **Ranshiin** for 4500! [15:03:21] *Scrappie: **Mauville Magnetons** has bought **Windsong** for 16000! [15:04:19] *Scrappie: **Koniko Clan** has bought **elodin** for 9000! [15:04:52] *Scrappie: **Mt. Moon Men** has bought **frisoeva** for 4000! [15:06:16] *Scrappie: **Koniko Clan** has bought **Hipmonlee** for 8500! [15:07:27] *Scrappie: **Sunyshore City Shaymins** has bought **Sceptross** for 9000! [15:09:28] *Scrappie: **Mauville Magnetons** has bought **fatty** for 6500! [15:10:14] *Scrappie: **Mt. Moon Men** has bought **Cynara** for 3500! [15:11:52] *Scrappie: **Aspertia Arcanines** has bought **Maya Chansey** for 10500! [15:14:19] *Scrappie: **Pyrite Town Pichus** has bought **Genesis7** for 9000! [15:14:33] *Scrappie: **Koniko Clan** has bought **Lacus Ichinose** for 3000! [15:16:18] *Scrappie: **Mt. Moon Men** has bought **Kingler12345** for 7500! [15:17:06] *Scrappie: **Mt. Moon Men** has bought **Sam I Yam** for 3000! [15:17:48] *Scrappie: **Mauville Magnetons** has bought **Exiline** for 5500! [15:19:35] *Scrappie: **Pyrite Town Pichus** has bought **HSA** for 11500! [15:20:17] *Scrappie: **Hearthome City Heatrans** has bought **Alfredo_Rivero** for 3000! [15:21:22] *Scrappie: **Hearthome City Heatrans** has bought **Raiza** for 10500! [15:22:37] *Scrappie: **Mauville Magnetons** has bought **Diophantine** for 5000! [15:23:32] *Scrappie: **Sunyshore City Shaymins** has bought **Zokuru** for 4000! [15:26:08] *Scrappie: **Hearthome City Heatrans** has bought **Oibaf** for 7500! [15:26:48] *Scrappie: **Po Town Power** has bought **Tobes** for 3000! [15:27:37] *Scrappie: **Koniko Clan** has bought **jonfilch** for 6000! [15:28:41] *Scrappie: **Pyrite Town Pichus** has bought **LL** for 3000! [15:29:12] *Scrappie: **Sunyshore City Shaymins** has bought **Vay** for 7000! [15:30:19] *Scrappie: **Pyrite Town Pichus** has bought **dream** for 5500! [15:31:36] *Scrappie: **Pyrite Town Pichus** has bought **ayevon** for 6000! [15:32:33] *Scrappie: **Koniko Clan** has bought **Fener** for 5000! [15:32:56] *Scrappie: **Po Town Power** has bought **Emeral** for 3000! [15:33:47] *Scrappie: **Sunyshore City Shaymins** has bought **A Hero's Destiny** for 7000! [15:35:02] *Scrappie: **Sunyshore City Shaymins** has bought **Altina** for 5000! [15:35:51] *Scrappie: **Mauville Magnetons** has bought **LuckOverSkill** for 9000! [15:36:42] *Scrappie: **Hearthome City Heatrans** has bought **hellpowna** for 7500! [15:37:45] *Scrappie: **Hearthome City Heatrans** has bought **xImRaptor** for 5000! [15:38:22] *Scrappie: **Mauville Magnetons** has bought **gz** for 3000! [15:40:04] *Scrappie: **Koniko Clan** has bought **EB0LA** for 6500! [15:42:04] *Scrappie: **Pyrite Town Pichus** has bought **The Quasar** for 8500! [15:42:50] *Scrappie: **Po Town Power** has bought **69 problems** for 4000! [15:43:45] *Scrappie: **Koniko Clan** has bought **Souf** for 9000! [15:45:27] *Scrappie: **Hearthome City Heatrans** has bought **Arifeen** for 9500! [15:45:50] *Scrappie: **Aspertia Arcanines** has bought **Sharow** for 3000! [15:46:40] *Scrappie: **Aspertia Arcanines** has bought **Garay oak** for 7000! [15:46:58] *Scrappie: **Pyrite Town Pichus** has bought **Vileman** for 3000! [15:47:12] *Scrappie: **Koniko Clan** has bought **Nat** for 3000! [15:47:53] *Scrappie: **Po Town Power** has bought **choolio** for 8500! [15:48:17] *Scrappie: **Mt. Moon Men** has bought **I attract E-Girls** for 3000! [15:49:26] *Scrappie: **Koniko Clan** has bought **snøfall** for 5500! [15:50:12] *Scrappie: **Mauville Magnetons** has bought **1 True Lycan** for 6000! [15:51:01] *Scrappie: **Hearthome City Heatrans** has bought **SamuelBestt** for 3000! [15:51:59] *Scrappie: **Hearthome City Heatrans** has bought **Rey Joya** for 3000! [15:52:37] *Scrappie: **Mauville Magnetons** has bought **byronthewellwell** for 4000! [15:53:28] *Scrappie: **Aspertia Arcanines** has bought **HML am** for 8000! [15:53:49] *Scrappie: **Mt. Moon Men** has bought **Coconut** for 3000! [15:54:52] *Scrappie: **Po Town Power** has bought **Slick Willy** for 10000! [15:55:44] *Scrappie: **Koniko Clan** has bought **TSR** for 9500! [15:58:03] *Scrappie: **Hearthome City Heatrans** has bought **yjh971203** for 14000! [15:58:28] *Scrappie: **Aspertia Arcanines** has bought **StepC** for 3000! [15:58:43] *Scrappie: **Aspertia Arcanines** has bought **Alkione** for 3000! [15:59:06] *Scrappie: **Pyrite Town Pichus** has bought **HarrisIsAwesome** for 3000! [15:59:20] *Scrappie: **Koniko Clan** has bought **Leo** for 3000! [16:00:09] *Scrappie: **Po Town Power** has bought **CMx** for 6500! [16:01:14] *Scrappie: **Mt. Moon Men** has bought **Djokra** for 4000! [16:01:57] *Scrappie: **Mt. Moon Men** has bought **Marshall.Law** for 4500! [16:02:45] *Scrappie: **Mauville Magnetons** has bought **Ika Ika Musume** for 3000! [16:03:16] *Scrappie: **Hearthome City Heatrans** has bought **Ace-11** for 4000! [16:03:39] *Scrappie: **Hearthome City Heatrans** has bought **Real FV13** for 3000! [16:04:07] *Scrappie: **Mauville Magnetons** has bought **RyLon** for 3500! [16:05:29] *Scrappie: **Pyrite Town Pichus** has bought **SaDiSTiCNarwhal** for 5500! [16:05:48] *Scrappie: **Po Town Power** has bought **DKM** for 3000! [16:06:14] *Scrappie: **Pyrite Town Pichus** has bought **EviGaro** for 3000! [16:06:56] *Scrappie: **Aspertia Arcanines** has bought **Kebab mlml** for 5000! [16:07:36] *Scrappie: **Aspertia Arcanines** has bought **Heysup** for 5000! [16:08:54] *Scrappie: **Pyrite Town Pichus** has bought **neomon** for 5000! [16:09:10] *Scrappie: **Po Town Power** has bought **Hec** for 3000! [16:09:47] *Scrappie: **Sunyshore City Shaymins** has bought **Thiago Nunes** for 3000! [16:10:01] *Scrappie: **Hearthome City Heatrans** has bought **Der Sweitzer** for 3000! [16:10:18] *Scrappie: **Hearthome City Heatrans** has bought **Jarii** for 3000! [16:10:50] *Scrappie: **Sunyshore City Shaymins** has bought **Roseybear** for 3000! [16:11:13] *Scrappie: **Po Town Power** has bought **Always! ** for 3000! [16:11:33] *Scrappie: **Pyrite Town Pichus** has bought **starry blanket** for 3000! [16:12:23] *Scrappie: **Aspertia Arcanines** has bought **nightcore** for 3000! [16:12:56] *Scrappie: **Aspertia Arcanines** has bought **Trap** for 3000! [16:13:28] *Scrappie: **Pyrite Town Pichus** has bought **H.M.N.I.P** for 4500! [16:13:47] *Scrappie: **Po Town Power** has bought **jcbc** for 3000! [16:14:10] *Scrappie: **Sunyshore City Shaymins** has bought **Sakito** for 3000! [16:14:24] *Scrappie: **Hearthome City Heatrans** has bought **TeZy** for 3000! [16:14:40] *Scrappie: **Sunyshore City Shaymins** has bought **Sinkyr** for 3000! [16:15:52] *Scrappie: **Sunyshore City Shaymins** has bought **Watchog** for 3000!